We often do an island tour when we are in Dominica. It costs about $100 EC per person ($50 Canadian) and usually involves a hike and lunch at some gorgeous island bar/shack/restaurant. We did one with B&K and planned one with Mike and Charlotte. But, Pam and I had a wonderful island tour by ourselves, accompanying Winston the taxi driver on his trip over to pick up M&C at the airport. Saw communities, farms, vistas and parrots! 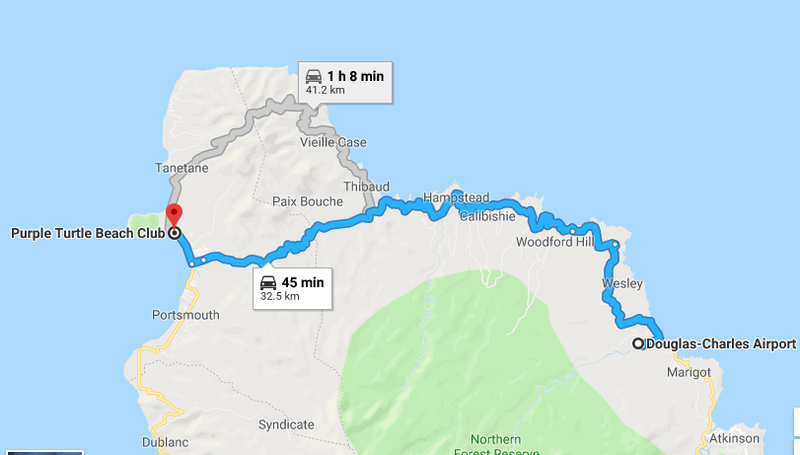 Google Maps says it is 45 minutes. Google Maps is not correct. Much longer. It was dark on our return trip to Blue Pearl so M&C didn't get to see the sites. By the way, if you get a chance, read Black Sand - White Sand by Elma Napier. Gives you a great sense of the island. 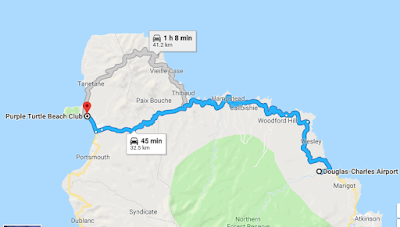 We drove past the Napier place on the way to the Douglas Charles International Airport. We had a lot of rain with B&K, and that continued with M&C. Between squalls we've had a chance to show them around the town and have a look at where Ross University was - before they left after Hurricane Maria. We picked up a few groceries and had a Shawarma before heading back to the boat. We've done the great Cabrits tour, had a PAYS BBQ and then loaded up with water this morning before sailing (and what a great sail it was) up to Les Saintes. So that's it in a nutshell. We will continue explore as we do the reverse of B&K's Excellent Caribbean Adventure.